Nuclear fission is a process whereby energy is released by the splitting of uranium atoms. Fission releases heat energy that can generate steam, which is used to spin a turbine to produce electricity US EPA. Nuclear Energy. Retrieved from: http://www.epa.gov/cleanenergy/energy-and-you/affect/nuclear.html US EPA. Nuclear Energy. Retrieved from: http://www.epa.gov/cleanenergy/energy-and-you/affect/nuclear.html US EPA. Nuclear Energy. Retrieved from: http://www.epa.gov/cleanenergy/energy-and-you/affect/nuclear.html US EPA. Nuclear Energy. Retrieved from: http://www.epa.gov/cleanenergy/energy-and-you/affect/nuclear.html . Uranium is the most widely used fuel for nuclear fission. Uranium is a nonrenewable energy source but it is a common metal found as an ore worldwide. Nuclear power plants use uranium, enriched in the isotope U-235 for fuel because, unlike the more common U-238, it can fission. Uranium is extracted from the earth through traditional mining techniques or chemical leaching with major resources in Canada, Kazakhstan and Australia Brown, T., Gunn, G., Mineral Profile-Uranium, British Geological Survey (2010), Retrieved from: http://www.bgs.ac.uk/mineralsuk/search/home.html Brown, T., Gunn, G., Mineral Profile-Uranium, British Geological Survey (2010), Retrieved from: http://www.bgs.ac.uk/mineralsuk/search/home.html Brown, T., Gunn, G., Mineral Profile-Uranium, British Geological Survey (2010), Retrieved from: http://www.bgs.ac.uk/mineralsuk/search/home.html . U.S. Environmental Protection Agency (EPA) "Nuclear Energy": http://www.epa.gov/cleanenergy/energy-and-you/affect/nuclear.html U.S. Environmental Protection Agency (EPA) "Nuclear Energy": http://www.epa.gov/cleanenergy/energy-and-you/affect/nuclear.html U.S. Environmental Protection Agency (EPA) "Nuclear Energy": http://www.epa.gov/cleanenergy/energy-and-you/affect/nuclear.html Once mined, the uranium ore is sent to a processing plant to be concentrated into enriched fuel (i.e., uranium oxide pellets), which can then be used in a nuclear reactor. In the plant’s nuclear reactor, neutrons released from fission collide with uranium atoms, releasing both heat and more neutrons. The heat is used to generate steam, which powers a turbine to generate electricity and the neutrons continue the chain-reaction. Thermal-Neutron Reactor - These are the typical reactors found around the world today, of which there are many different variations. They have issues regarding radioactive waste but generate large amounts of low carbon energy. The two most common reactors in use today are the Pressurised Water Reactor (PWR) and the Boiling Water Reactor (BWR). Fast-Neutron Reactors - Often considered the next step for nuclear power, fast reactors have been researched since the beginning of nuclear power but are yet to be deployed for a variety of technical, financial and political reasons. Should these issue be overcome, they could offer a revolutionary step in the way nuclear power is generated with great benefits towards waste disposal. 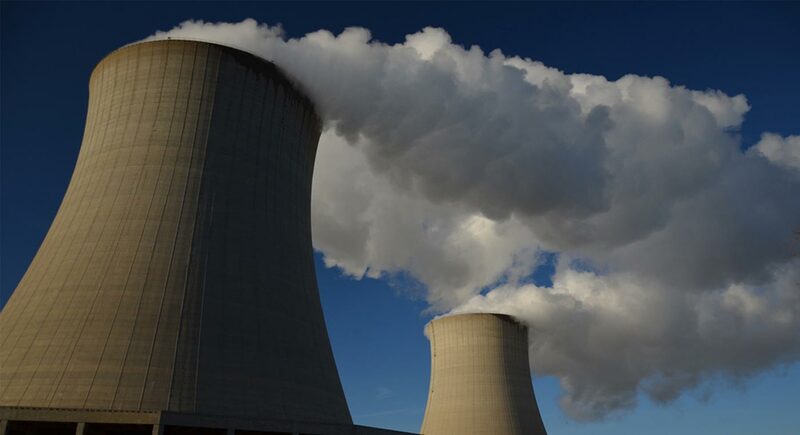 The first commercial nuclear fission power stations started operation in the 1950s. Today, there are over 435 operable in 31 countries. Nuclear accounts over 11% of global energy production. World Energy Outlook 2014 Factsheet: Nuclear power: retreat, revival or renaissance? http://www.iea.org/media/news/2014/press/141112_WEO_FactSheet_Nuclear.pdf World Energy Outlook 2014 Factsheet: Nuclear power: retreat, revival or renaissance? http://www.iea.org/media/news/2014/press/141112_WEO_FactSheet_Nuclear.pdf World Energy Outlook 2014 Factsheet: Nuclear power: retreat, revival or renaissance? http://www.iea.org/media/news/2014/press/141112_WEO_FactSheet_Nuclear.pdf Nuclear Fission technology promises the world an abundant source of carbon-free energy. The costs of operation are fairly inexpensive and the nuclear fuels themselves are relatively abundant BBC (2013), Q&A: Nuclear Strike Price, Available from: http://www.bbc.co.uk/news/business-22772441 BBC (2013), Q&A: Nuclear Strike Price, Available from: http://www.bbc.co.uk/news/business-22772441 BBC (2013), Q&A: Nuclear Strike Price, Available from: http://www.bbc.co.uk/news/business-22772441 . However, there are many challenges for the technology. High costs and regulatory permitting required to construct the plants are significant barriers to the technology. Additionally, the fuel can be repurposed to create nuclear weapons, which can be a threat to national security. The nuclear fission process also creates radioactive waste US EPA - Radioactive Waste Disposal: An Environmental Perspective http://www.epa.gov/radiation/docs/radwaste/ US EPA - Radioactive Waste Disposal: An Environmental Perspective http://www.epa.gov/radiation/docs/radwaste/ US EPA - Radioactive Waste Disposal: An Environmental Perspective http://www.epa.gov/radiation/docs/radwaste/ , which, if not disposed of, could cause harm to the environment and surrounding communities. The safety and health of both workers and neighboring communities are also a significant concern in the event of nuclear accidents World Health Organization (2005), Chernobyl: The true scale of the accident, Available from: http://www.who.int/mediacentre/news/releases/2005/pr38/en/, [Accessed:10th January 2015] World Health Organization (2005), Chernobyl: The true scale of the accident, Available from: http://www.who.int/mediacentre/news/releases/2005/pr38/en/, [Accessed:10th January 2015] World Health Organization (2005), Chernobyl: The true scale of the accident, Available from: http://www.who.int/mediacentre/news/releases/2005/pr38/en/, [Accessed:10th January 2015] . Sorry, we do not yet have a video specifically for Fission. We are adding new videos to StudentEnergy.org weekly, but in the meantime check out this video on Nuclear.